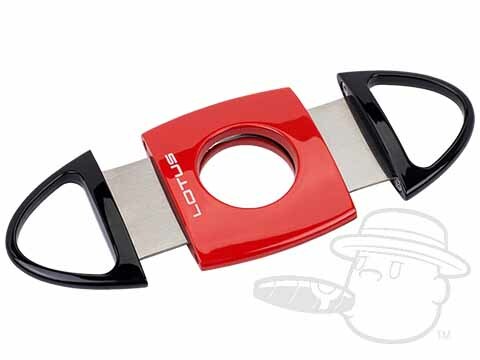 One of the most dependable and innovative cutters to ever land on our shelves, the Lotus Jaws Serrated Cigar Cutter features double guillotine blades with serrated edges like that of a bread knife. This unique design prevents cigar oils and tobacco bits from sticking to the blade, allowing for a clean and maintenance-free cut every time. And - you big-ring guys are in luck, because this sharp cutter accommodates up to a 62 ring gauge, no problem.